The Communications Team, is the FtA’s version of the greeters, placement, media mecca, and the artery, all rolled into one. This group is responsible for all communication between FtA and it’s volunteers, artists, theme camps, regional events, and the media. It does a lot of administrative work in the months leading up to BM, including managing our social networking sites, coordinating communication amongst and between our teams, and contacting all our potential participants (artists and theme camps) by email and phone. 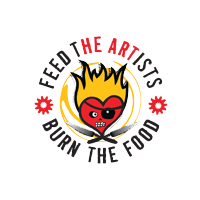 They arrive on the playa early and perform the critical function of setting up our reception booth so that artists and theme camps who used our Online Reservations System to set up dinners can check in with us prior to their dinner and receive their FtA medallions. They also check in with them to make sure nothing that will effect the success of their dinner has changed, and provide support in case there are extenuating circumstances. We also use the reception booth during burn week to connect artist groups and theme camps during that time. If you’ve got a good amount of time to give between April and August, and you’re outgoing, resourceful, and/or have graphics/marketing/web design experience, this might be the team for you.